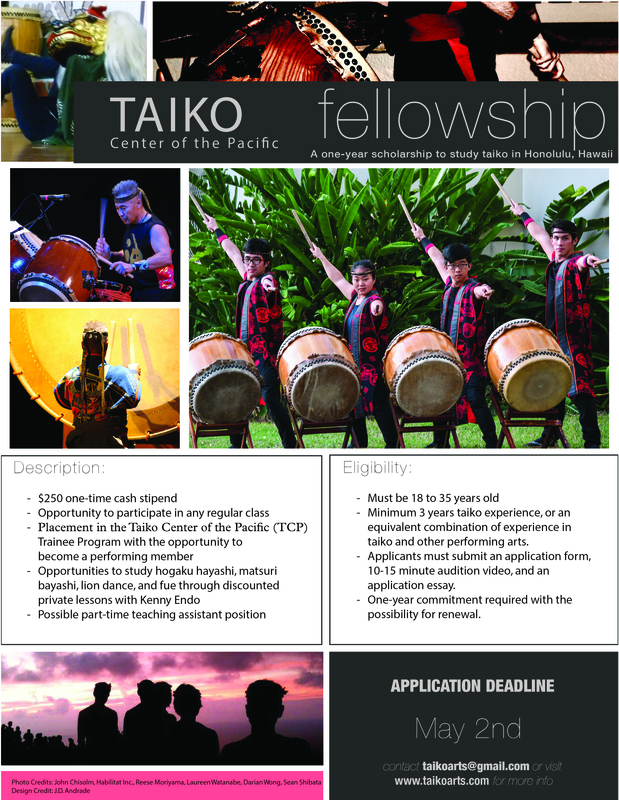 Due to impending “Hurricane Lane,” ALL TCP taiko classes & rehearsals scheduled for Thursday August 23, 2018 have been CANCELLED. Summer Session II Thursday classes will meet only TWICE on August 30 and September 6. If you have already paid tuition, you will be refunded for the cancelled classes. We apologize for any inconvenience this may cause. Please TAKE CARE and BE SAFE!!! ALL TCP Classes are scheduled to take place as usual on Sunday, August 26. However, this situation will be reassessed on Saturday, August 25. Please check back for updates around 2 pm on Saturday. Thank you for your kokua! Stay SAFE everyone!!! ← TCP Welcomes Incoming TCP Fellow Marley Kirton!